Content warning: mental illness, addiction, suicide ideation. My experience of this book was a bit different to my usual reviews because I didn’t read it, I didn’t listen to it as an audiobook per se, but I listened to it as a podcast called “Mum Says My Memoir is a Lie“. 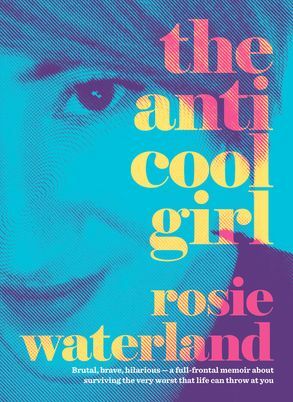 “The Anti-Cool Girl” by Rosie Waterland is deeply personal memoir about Waterland’s experiences growing up in a dysfunctional family plagued by mental illness, addiction and poverty. Waterland chronicles her sometimes hilarious and sometimes deeply painful memories from birth up until just before publication. Although Waterland’s mother Lisa’s alcoholism had prevented her from reading the book when it first came out, Lisa has since sobered up and is ready to challenge Waterland on some of the things depicted in the book. On the podcast, each episode begins with Waterland narrating a chapter from the book and then Waterland and her mother Lisa spend the rest of the episode discussing the events of the chapter, especially around whether Waterland’s recollections are correct. I think it’s difficult to separate out the book from the podcast because so much of podcast is the book, so this is going to be a kind of combined review. Waterland is a very funny writer, and has a exaggerated, self-depreciating sense of humour that balances out the more serious parts of the book. Waterland is also unflinchingly honest about her feelings and experiences, sometimes in quite shocking (and refreshing) detail. This book is overall an incredibly telling insight into Australia’s care and protection system, the public housing system and the mental health system. 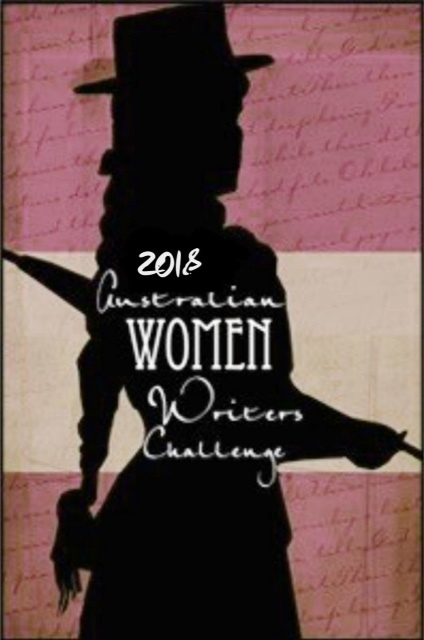 Rosie also shares her personal experiences with depression, suicide attempts, bullying and weight gain and then her remarkable success in her writing. When I first started listening to this podcast, hearing Waterland read a chapter of her book, my initial judgment was that her mother Lisa was a terrible mother whose alcoholism traumatised her children. I think that if I had read the book by itself, that would have remained my judgment the entire way through. However, having Lisa participating in the podcast and responding to each chapter did lead me to think that Waterland was perhaps not always the most reliable narrator, especially in the chapters about her younger years. It also gave me a lot more empathy for Lisa and a better appreciation of her own struggles. However, where the facts aren’t completely clear or when some of the subject-matter gets a bit dark, you can count on Waterland to bring the mood back up with a joke or an embarrassing story about herself, even if it’s a bit embellished. This is a powerful, hilarious and insightful book that is given a whole new layer of depth through this unconventional storytelling platform. I think the book is good, but the podcast is excellent and it is a very rare opportunity to listen to frank conversations between an author and her subject-matter: her mum. HarperCollins the publisher was running a bit of a Christmas special and had this book available to read for free. In fact, I think it still is available for free. 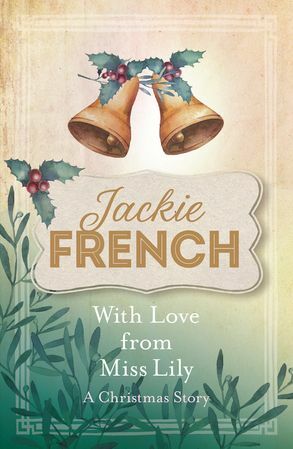 It has been a while since I read a Jackie French book, and while I whipped through it before Christmas, my intentions on having this review ready for Christmas were sadly not fulfilled. So, here it is, slightly late: my review. “With Love from Miss Lily: A Christmas Story” is a short story by Jackie French set shortly after the first novel in her “Miss Lily” series called “Miss Lily’s Lovely Ladies”, about the contribution of society ladies to World War I. This short story takes place in France during winter. A hospital is running low on supplies, patients are dying of influenza, and head nurse Sophie is worried that she won’t be able to have the ceasefire Christmas she was hoping for. However, between the dying old woman who won’t stop furiously knitting, the handsome captain and the help from Miss Lily, somehow Christmas makes it after all. This is a very short but touching story that manages to weave a bit of history, feminism, family, friendship and even a dash of romance altogether. I really enjoyed reading it on my drive down to my own family Christmas and I am a bit intrigued about the rest of the series. I think I’ll finish the review here because it’s such a short story, I’m at risk of writing a longer review than story. Sorry I didn’t get this up in time for Christmas!